Krazy Prayz consists of a group filled with young adults who are saved, radical, and unashamed about God. Our common goal is to set an atmosphere of praise, worship, and newly found excitement for people of the younger generation. They are not confined to any specific genre of Gospel, Christian, or Inspirational style of music; they do it all. KP has saved singers, song writers, musicians, and choreographers. Pastor Coleman feels that it is a blessing to be in position to watch this young, on fire for God group minister with a boldness under conviction, grow in the Lord, and flow in the anointing of the Holy Spirit and in the gifts they were given. Or you can watch it here from your laptop or desktop computer. 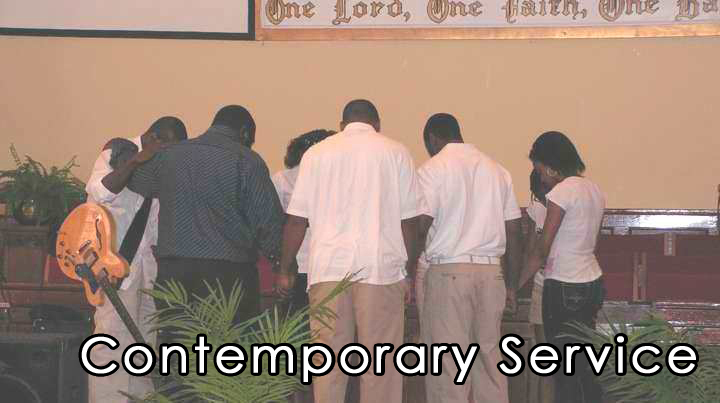 You can watch past recorded videos from our Contemporary Service.